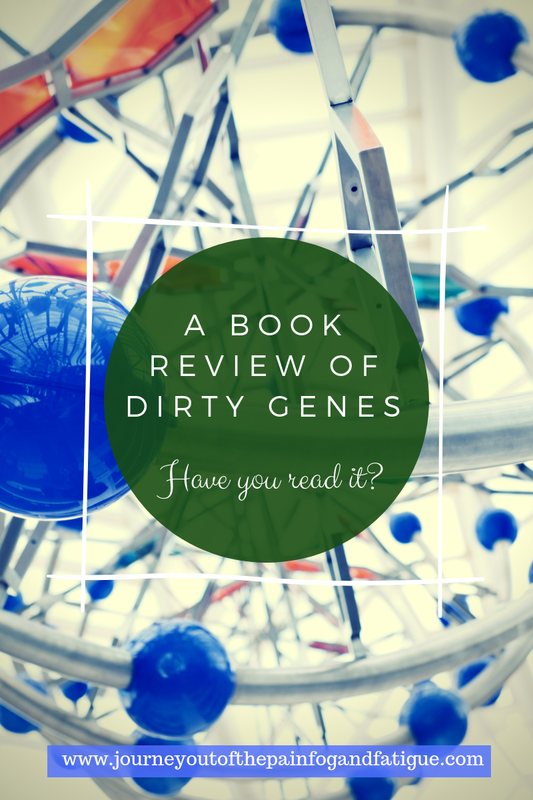 Dirty Genes- Have You Read It? I finally finished reading a book by Dr. Ben Lynch. I found it filled with good, practical advice based on age-old wisdom to help maximize and improve energy and wellbeing. His common sense approach to eating well, getting plenty of rest, reducing stress, finding time to exercise, and avoiding toxic chemicals, is broken down into digestible medical information. 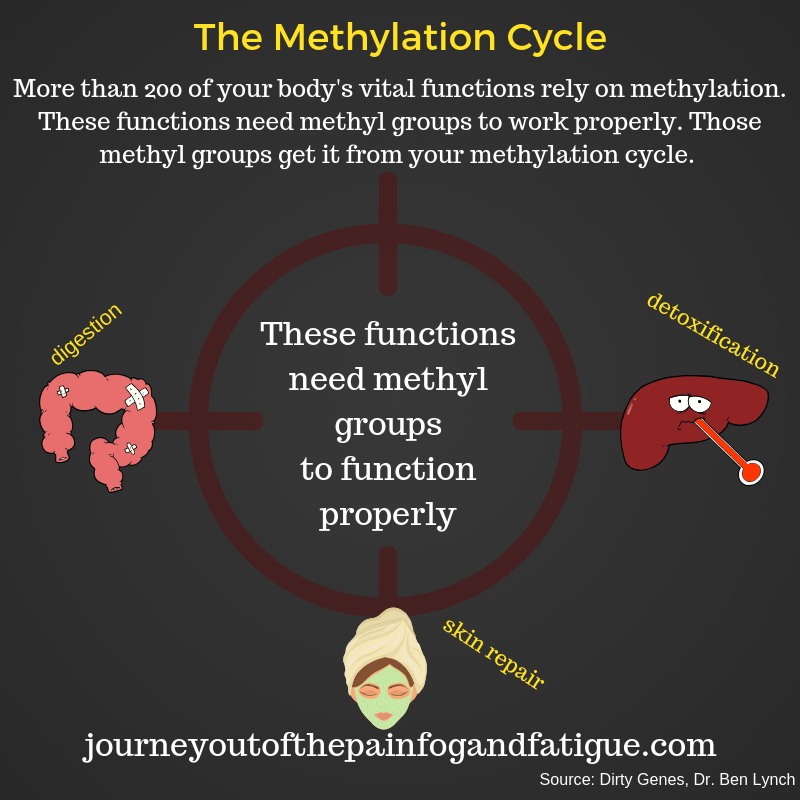 It's easy to understand, especially when it comes to how our genes are expressed when dependent on the methylation processes that exist in our body. Although he's not a geneticist, he does have a doctorates in naturopathic medicine and has helped many patients gain a better understanding about the root cause of their chronic illness. To sum up, his book dispels the myth that we are not all destined by our genes if we take preventative measures to take better care of ourselves. We don't all have to suffer the same fate or illnesses that previous family members did if we take the right precautions to clean up our dirty genes and learn to optimize them. 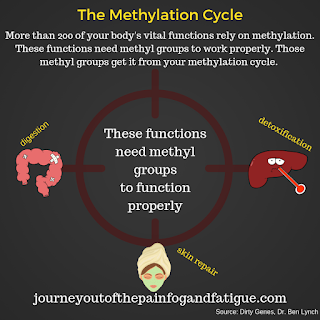 nowadays, but Dr. Lynch simplifies the process and details why we need to ensure that our body is properly methylated if we want to live an optimal life cycle. Although I have an MTHFR mutation, the book also covers several other main genes that contribute to chronic illnesses, along with quizzes to help you narrow down which gene could be playing a dominant role to chronic health issues. He offers practical advice on how to optimize your genes with diet and lifestyle to help delay, even possibly postpone weaknesses inherited by our ancestors. Personally, I've never liked fad diets, since they only worked for me while I was on them, but there are some tailored diets and recipes included in this book that you can incorporate into your lifestyle- some of which are similarly close to the Paleo diet- but with an emphasis on certain leafy greens and vegetables that aid with methylation. I found the recipes useful. This book gave me a better understanding as to why some foods are harmful to my body, and why others make me feel fantastic when I eat them. This is off-topic, but maybe that blood type diet may have been on to something back when that was a fad? I plan to do this, but if you've ever taken a DNA test, like 23andMe, he does have a product called Strategene, in which you can upload your raw genetic code data results into, but he doesn't get pushy with that in the book. I know that type of testing can get costly, especially if you have multiple members in your family with similar health problems. Instead, Dr. Lynch also offers practical and affordable advice that encourages eating more protein to support serotonin production; how to clean out excess estrogen from your body, especially if you are taking birth control pills; and gives solutions to help support your liver, which I definitely need. I did find it refreshing to read that our destinies don't always have to be written in stone by our genes, but influenced by diet, lifestyle, toxic exposures, stress, and even mindset. If you grew up hearing the expression, "make sure you eat your fruits and veggies," this book illustrates the processes through which your body benefits from eating those fruits and veggies. My overall recommendation for this book, and I'm speaking as a mom with a family that includes a growing teen and medical bills that have piled up from past years of trying to come up with solutions to all my health problems, I know there are many of us out there who find it costly to pay for genetic testing and DNA analyzation, so, I highly recommend this book if it will help you narrow down the source of all your chronic health issues that doctors can't seem to resolve. It will give you afforable and practical solutions to help you pintpoint the problem and alleviate it. All my best!